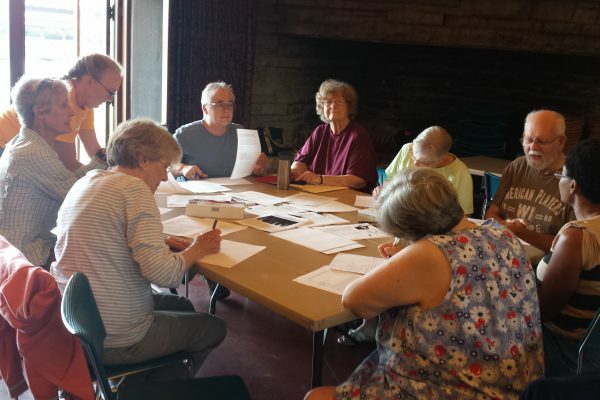 The Society enlists a wide array of volunteers to help with everything from staffing the front desk to assembling our monthly newsletter to making sure the grounds reflect the beauty of the community. We’ve got a place for introverts, extroverts, the organized, and the overwhelmed! Check out our volunteer opportunities or contact Janet Swanson to find your place. If you’ve enjoyed a worship service at FUS, you’ve got our volunteers to thank! Greeters, ushers, and hospitality volunteers help ensure a seamless and comfortable worship space. See where we need help and sign up on our volunteer calendar. The Food Haulers provide meals for the community at parish meetings and other special events. To find out more or get involved with this group, contact Janet Swanson. Front desk greeters are at the front line of hospitality at FUS. From welcoming guests to answering the phones, these volunteers are often the first friendly face (or voice) visitors encounter. To find out more about volunteering here, contact our office. 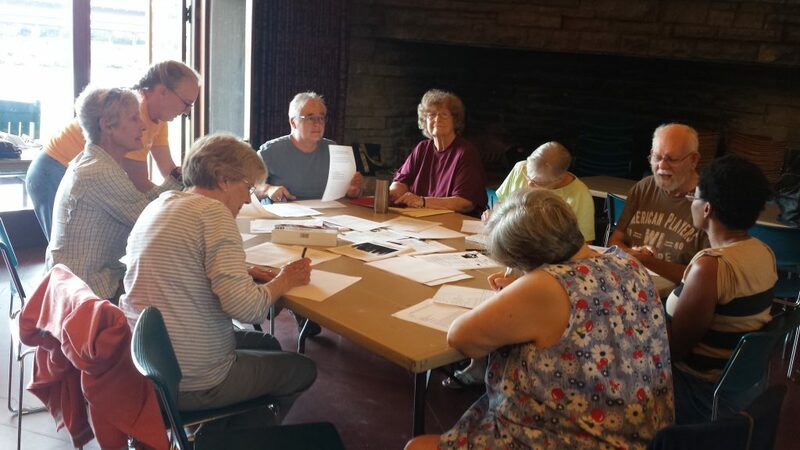 Our newsletter assembly group meets at 9:15 a.m. on the last Monday of the month to collate over 1,200 newsletters while enjoying snacks, coffee, and conversation. To be a part of this group, contact Monica O’Brien. Got a green thumb? Our gardening team helps with weeding, pruning, planting, raking, mulching, and special projects for our grounds. To find out more about this group, contact Janet Swanson. FUS partners with Porchlight to serve one dinner and one breakfast each month at Grace Episcopal Church on the Square. On the third weekend of the month, we provide Saturday night dinner and Sunday morning breakfast to approximately 120 homeless, hungry men. Click here to learn more and to sign-up.